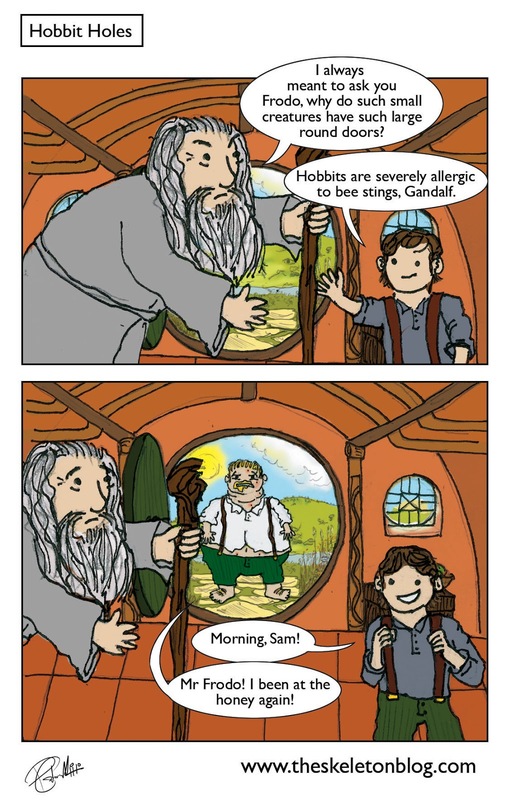 I saw ‘The Hobbit’ the other day. Pretty good but pretty long too. They could have shaved a good half an hour off the start. Why do hobbits have hairy feet though?, It’s pretty gross and off putting they could shave some off there too never mind the running time. Even the women I’m assuming have the hairy feet I’m guessing. If they shave their legs do they leave the feet or do the whole thing? Would it not look weird to have hairless legs and hairy feet? I think I’d maybe rather be a dwarf. Their women are apparently as hairy as the men though. It’s puzzlement…. I’ve decided just to be a human.